Guest Post by Volker Rieck. Translated from German. Original here. 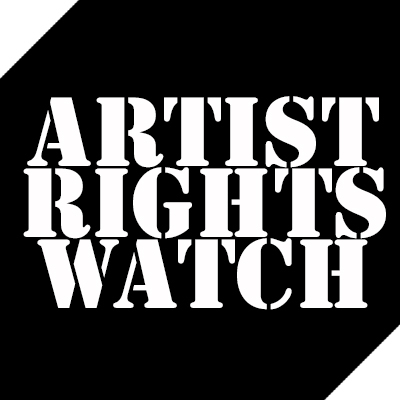 Last weekend, several organizations called for a “Day of Action” with demonstrations throughout Europe against the planned EU Copyright Directive. 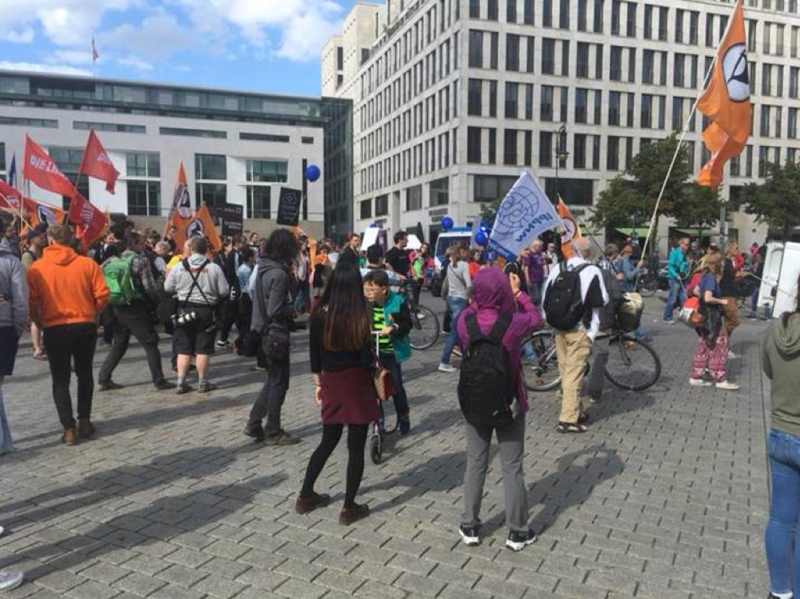 Among the supporters of the events were the Pirate Party, the Left, the Greens and the network association Loade.V. (FDP). The saveyourinternet.today website created an overview map of all 27 demonstrations. In any case the cards weren’t put on the table. Again. Illustration: Saveyourinternet.today with calls and links to the demonstrations. Operator of this site unknown, data protection notice missing. The WhoIs details lead to WhoIs Guard in Panama. The first event was Mainz on Saturday, August 25, 2018, where prominent members of the Bundestag such as Tabea Rösner (Die Grünen) and Manuel Höferlin (FDP) spoke. Nevertheless, they only spoke in front of about 30 participants. 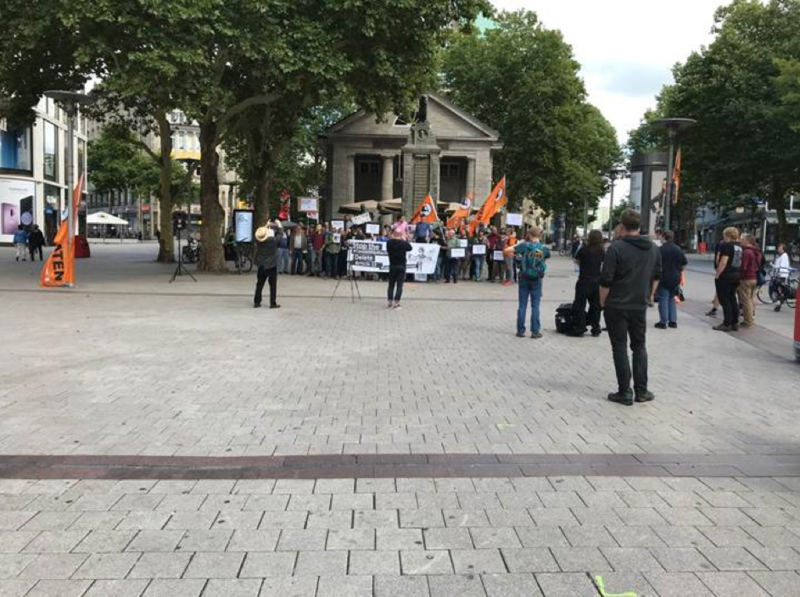 While the poor attendance at the event in Mainz was notable – it was far from the worst showing of the day for the declared opposition to the copyright directive. On Sunday, other cities followed, including Hamburg. Patrick Breyer, the former member of parliament for the Pirate Party in Kiel, also spoke in front of about 40 demonstrators. Breyer stressed that 1 million supporters have already been collected for a petition against the directive at Change.org. He also defended himself against accusations that the petition had been supported by bots, which seemed a bit strange in view of 40 participants. Illustration: Final photo of the rally in Hamburg, approx. 40 participants. Pirates are obviously capable of self-reflection. Demonstrator Malte Huebner quickly aired his displeasure on Twitter that day. “The visibility of the Hamburg #saveyourinternet demonstration is catastrophic. But it was even worse for the young pirate when the first passers-by appeared. The main event took place in Berlin at Pariser Platz. 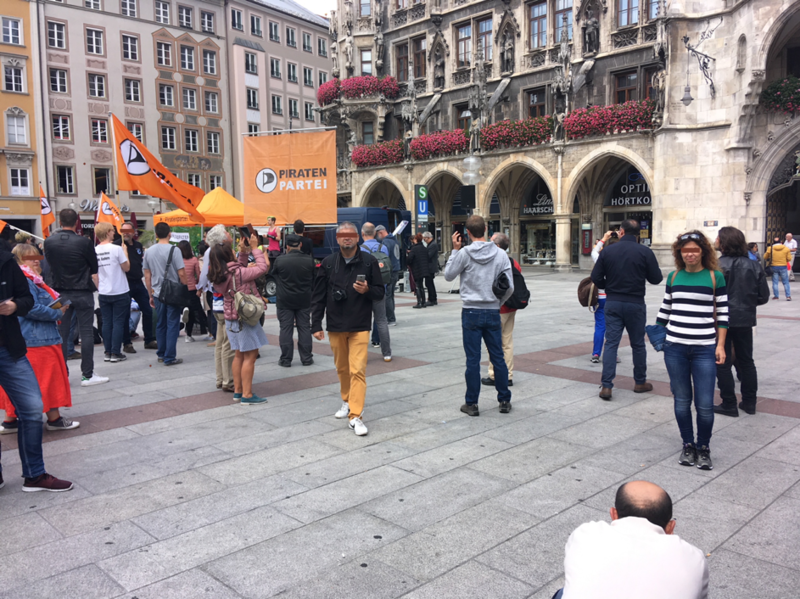 According to various estimates, it was probably the largest event of the campaign with around 100 participants, although the alleged driving force was the MEP Julia Reda. This is an astonishingly small number for the central event of a campaign! Reda had stated in advance that with broad support the accusations that there were relatively few people behind the online campaign could be refuted. If broad attendance was to be understood as an affirmation of the actual support of Europeans, then surely the converse is also true – the lack of broad support would suggest the opposite conclusion. The crowds, or the absence therefor, have spoken. It is now essential that major media who have largely reported the Pirate’s assertions that the directive is “highly controversial” recognize they have been following noise rather than signal. It’s not always the case that where there’s smoke there’s fire. Sometimes it is just smoke. In other German cities, too, participation seemed to be similarly moderate. The city of Munich attracted only about 30 protesters. A projection based on 15 of the total of 27 events throughout Europe, which attracted a total of around 400 participants, suggests that the maximum number of participants across Europe would be 800, as there were also locations with no shows. Even in the home country of the Pirate Party, Sweden, more precisely in Stockholm, there were only 15 participants. 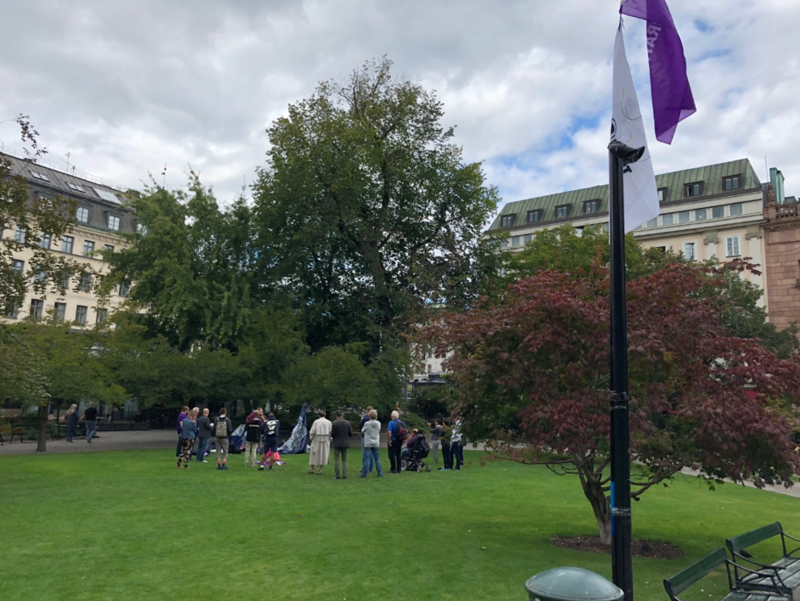 Illustration: The protest in a park in Stockholm, about 15 participants. No, this is not the yoga group that usually meets there. Poland was supposed to be the backbone of the anti-directive campaign, after all organizers had a few years ago managed to get 10,000 people out to protest ACTA, so surely, they would step up where there German counterparts had failed. Not this time. In total, there were an estimated fewer than 100 people across 6 different rallies in Poland. As in Germany, this should send a message to media, members of the European Parliament, and the public. There were more police officers in Lodz than demonstrators. A total of 6 (six!) participants gathered. And who knows how many there would have been in Krakow (40 participants) if the mayoral candidate Konrad Berkowicz (Wolność party) had not used the demo on his own behalf and his supporters had increased the number of participants. 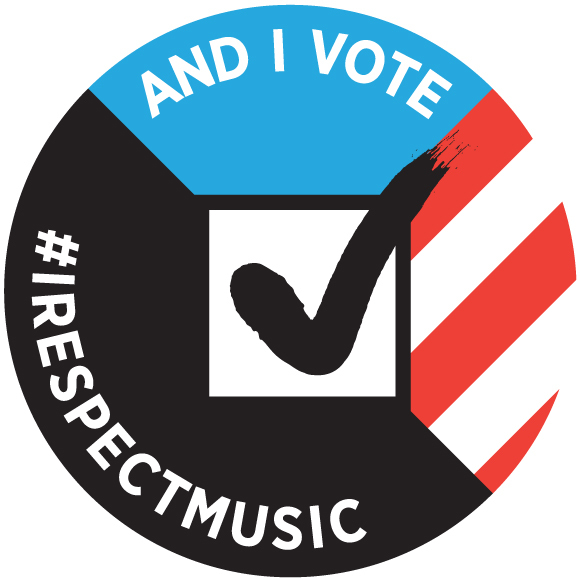 The hashtag of the campaign should therefore better be #1of8hundred and not #1of1million. That would be closer to reality. So there seems to be a large numerical discrepancy between the digital protest and the number of actual opponents of the planned EU Copyright Directive. The campaign claims to have one million signatories at Change.org, yet only 0.08% of the signatories gather to go to a demonstration. Of course, click and demonstrations are two different ways of expressing opinions. One click is done in seconds, while a demonstration can be cumbersome. However, the question arises how such a small core of visible opponents of the EU directive throughout Europe was able to generate so much digital noise among MEPs in July. And how could this noise, which was produced by so few, have had such an impact on so many members of the European Parliament? The technical tools provided by the initiators of the saveyourinternet.eu website via partner sitesplay a central role here. They have ensured that MEPs’ mailboxes were overfilled, and their Twitter accounts flooded in the week before the vote in early July. The meagre result of the “Day of Action” must not remain hidden from EU parliamentarians. It is almost certain the same tools will be used again before the next vote on 9/12/2018 (12.09.2018). Every Member must consider his or her decision carefully. It is of vital importance that parliamentarians not be misled by manufactured and hyperbolic outrage, nor by media that lazily reports the existence of imaginary controversies. Last weekend’s “demonstrations” told an important story. Not the whole story of course, but an important one nonetheless. Governments around the world are struggling with how to translate online comments into an understanding of the will of the people. One thing is abundantly clear – They do not convey a fair representational sense of the public – particularly given the existence of marketing tools to facilitate a form of uncritical hashtag clicktivism. Astroturf is easily disguised as grassroots. This has now been exposed in Europe via last week’s protest. It is a lesson that must not be ignored by the European Parliament.